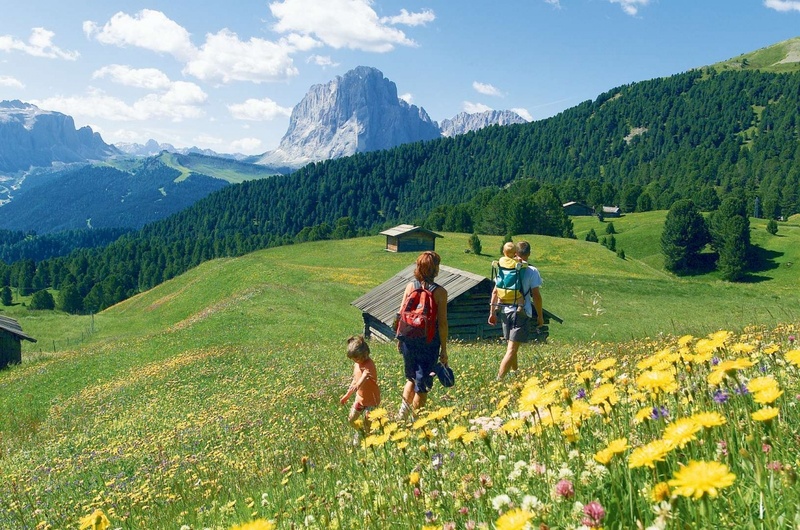 Discover the exceptional panorama of the mountains of Val Gardena! Plenty of walks that bring you to idyllic farms, until reaching tranquil benches ideal for relax. There you can admire the beautiful landscape, the villages, the woods and mountains. You will be enchanted. You can discover the mountain world on well-developed roads and paths. Cable-cars enable you to access the higher-lying areas. Original alpine and refuge huts invite you to relax. On hot summer days, it is particularly refreshing to hike in higher-lying areas and enjoy nature!